« Have a Happy and Geeky New Year! 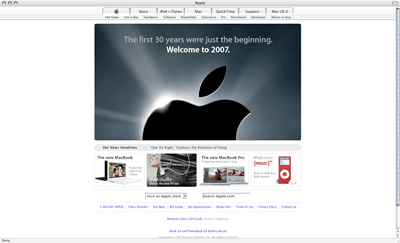 Apple has updated their website with a new image stating, “The first 30 years were just the beginning. Welcome to 2007.” The question remains, what does this mean?